Snorkel with playful sea lions and equatorial penguins; hike past dancing blue-footed boobies and “prehistoric” iguanas; marvel at giant tortoises in the wild in the verdant highlands on Santa Cruz Island… Savor one of our planet’s quintessential natural history experiences in this living museum and showcase of evolution. Six hundred miles off the coast of western South America, hugging the Equator, lie the Galapagos Islands. It was here, after studying the native wildlife, that British scientist Charles Darwin formulated his theory of evolution. Its geography is surreal and its unique wildlife is utterly unafraid of humans. We have created a program that brings you an active (yet comfortable), insightful experience of this fascinating “world unto itself”, as Darwin called it. Sometimes referred to as the Islas Encantadas, or Enchanted Islands, the Galapagos Islands are one of the world’s most incredible natural history destinations, an archipelago of extraordinary islands, each with its own unique flora and fauna—many of which are found nowhere else on earth. We’ll have an expert naturalist guide with us who will share the stories and meaning of Darwin’s epic voyage and its impact on our world. Delightful traveling companions, the guides here love sharing their vast knowledge of the islands. Their passion for the Galapagos and dedication to preserving this fragile ecosystem are truly inspiring. Snorkeling is wonderful here, too – and the equipment is included so you don’t have to bring your own. Informative hikes, fascinating wildlife, really delicious meals, great views, and very comfortable land-based accommodations . . .
Venture Out’s Galapagos trip will take in three different islands. One will be Santa Cruz (where our home base is located), also known as Indefatigable. We cannot specify precisely which two other islands we will visit because the Galapagos National Park Service authorities can alter tour companies’ programs at any time should they deem it necessary. However, the two islands will be among the four listed below. Perhaps the most famous wildlife inhabitants of Santa Cruz Island are the giant tortoises. There’s also a large variety of birdlife, and it’s the only island that has six different vegetation zones. In the highlands (the zone where our camp is located), where the vegetation is lush and overgrown with mosses and lichens, we’ll have the opportunity to track and observe giant tortoises. It’s quite a treat to spend time with these friendly and ancient creatures. Also on Santa Cruz we’ll see the lava tubes, which we can hike inside of to see their fantastic rock formations. We’ll go to Garrapatero, a pristine beach where the contrast of mangroves, black lava, white sand and turquoise water, in addition to the buzzing coastal bird life and the small pink flamingo lagoon, makes it all sensational. Other stops include a coffee farm and a viewpoint in the highlands looking out over some of the neighboring islands. Seymour Norte is teeming with life. Indeed, you might have to give way to a passing sea lion or marine iguana. We have a good chance of encountering the iconic blue-footed boobies, land iguanas, and swallowtail gulls. The island is also home to the largest nesting site in the Galapagos of the magnificent frigatebird. These huge, dark acrobats have a 5-foot wingspan, and males exhibit the inflated scarlet gular pouches. A tiny forest of silver-grey Palo Santo trees stand just above the landing at North Seymour Island, usually without leaves, waiting for the rain to bring them into bloom. South Plaza is one of the smallest yet richest islands in the archipelago. The approach makes for a lavishly colorful sight. The turquoise waters of the channel contrast brilliantly with the black lava of the shoreline. The rocks are speckled with bright orange Sally light foot crabs, and seagoing marine iguanas – the so-called prehistoric imps of darkness — roam the shores. A carpet of scarlet ice plant serves as groundcover for a grove of luminescent green prickly-pear cacti. Yellow-gray land iguanas sit beneath, waiting patiently for pears to drop. Red-billed tropicbirds, Nazca, and blue-footed boobies ride the windy currents. Swallow-tailed gulls, and magnificent frigatebirds are also often found here. The overlook is a great place for spotting large marine life, including manta rays. Bartolome is famous for its dramatic vistas and barren volcanic landscape. From the anchorage known as Pinnacle Rock, one can climb 372 steps along a wooden walkway to reach the top of an extinct volcano. The climb gets the heart pumping, but it’s technically easy. The ascent is a lesson in volcano geography with cooled-off lava flows visible along the route to the main cone. On the way up, one can see lava cacti and lava lizards. The view from the lookout at the top over some of the Galapagos archipelago is wonderful, with Pinnacle Rock and turquoise waters below. Bartolome has one of the larger colonies of Galapagos penguins. Also commonly seen here are Galapagos hawks and white-tipped reef sharks. Sea lions snooze on rocky platforms or play with passing snorkelers. A perfect crescent sandy beach is where sea turtles are often found; they use the beach as a nesting site. Santa Fe offers one of the more beautiful and sheltered coves in the islands. Its turquoise lagoon is protected by a peninsula of tiny islets forming an ideal anchorage. From here a sandy white beach brings visitors into contact with one of many sea lion colonies. Bulls contend for the right of being master of the beach, while smaller males mask as females (!) to make stealthy mating moves. Galapagos hawks are often easily approached, perched atop salt bushes, and an ascending trail leads toward the cliffs from where an expansive view of the ocean opens up. The giant prickly pear cacti found here live up to their name, with tree-sized trunks. Regularly seen on Santa Fe are marine iguanas, land iguanas, great frigate birds, and sea lions. In January the warm Panama Current brings daytime temperatures in the high 70s to low 80s, and water temperatures in the mid-70s. Seabird nests are busy with activity, sea lion pups frolic in the water, green sea turtles begin mating rituals, and land iguanas lay their eggs. Afternoon rain showers are common at this time of year, but they’re generally brief. That said, January also falls within the sunniest period of the year. The seas are typically calm, warm, and clear at this time. 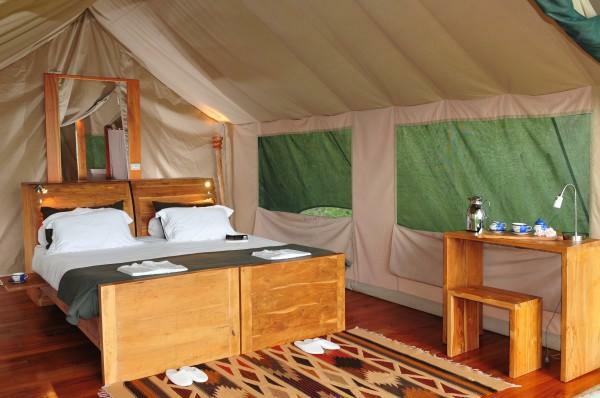 Our deluxe “safari”-style tented camp — pioneering for Latin America — follows the African safari tradition in which guests enjoy good comfort under canvas while experiencing nature in its purest form. From this base on Santa Cruz Island, we can make day trips to nearby islands, wildlife colonies, and snorkeling sites, as well as explore Santa Cruz itself. The 135-acre property is in a transition zone between cultivated land and national park land. 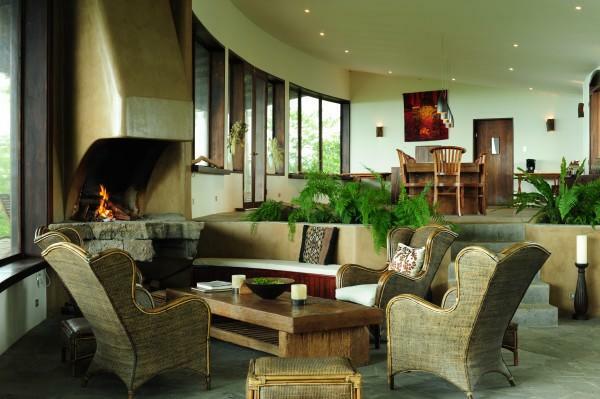 A stylish central lodge and eight safari tents are situated on a ridge at 1,575 feet, an elevation that affords an inspiring panorama of the northern and western Galapagos islands. 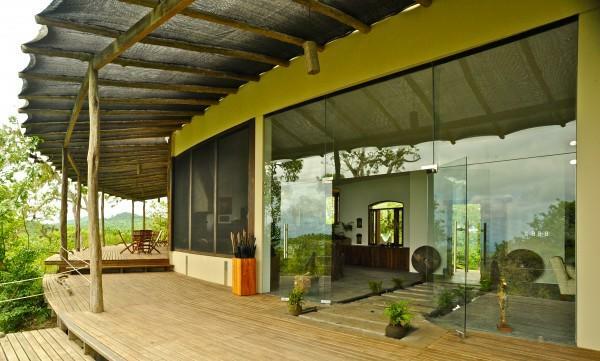 The wall of the main lodge that faces the sea is entirely glass, and it has a spacious veranda. Inside is an open-plan split-level space with a cozy fireplace, lounge, bar, and a 15-foot solid teak dining table from Bali. The front door to this eclectic little world was salvaged from an Indian temple. We’ll savor local and international dishes created by the innovative chef with home-grown produce. Guest tents are located a few minutes’ walk down the side of a hill and are set up off the ground on wooden platforms. They’re sheltered by three protective layers: one specifically for the sun, another one for the rain, and an inner sealed canvass shell forms the bedrooms. Their interiors are comfortable and spacious (about 300 square feet). The custom-made furniture was designed with comfort, practicality, and elegance in mind. There are comfortable beds, cedar floors, electric lighting, cupboards, a writing desk, and a fan/heater for temperature control. The en-suite bathrooms are tastefully designed with lava stone sinks, hot power showers, and flush toilets. 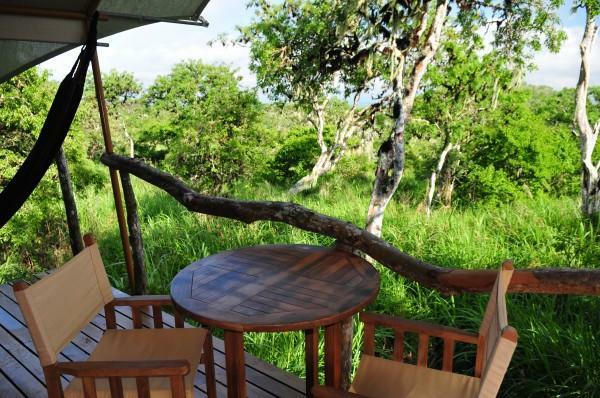 All tents have a balcony with a hammock and chairs from which to take in the delightful view. 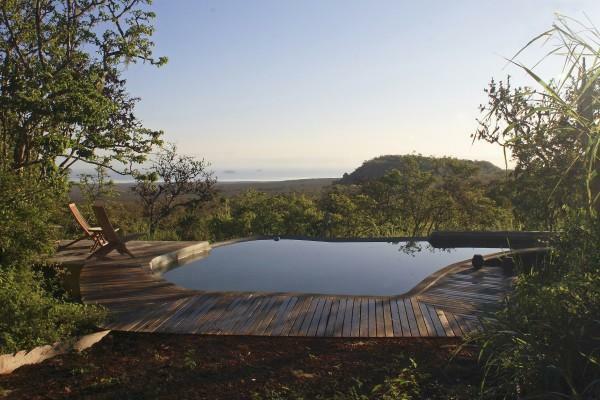 The small pool is an ideal spot for a cooling dip. The property hosts an abundance of birdlife with finches, warblers, mockingbirds, Galapagos doves, egrets and owls. Tortoises also frequently putter between the tents. As a result of the owners’ restoration and conservation work, many local species of trees, such as scalesia, guayabillo, and palo santo, are rapidly regaining a foothold after years of cattle farming. Our camp hosted Britain’s Prince Charles and Camilla Parker Bowles for a cocktail reception with authorities of the national park during their South America trip in 2009. Our selected small boutique hotel in the Ecuadorean capital echoes the architectural style of the city’s historic colonial quarter, yet with a modern twist as it was built just a few years ago. 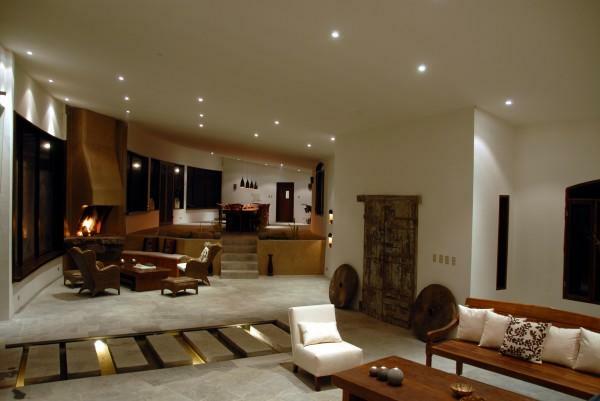 It’s decorated in “modern colonial” style, with an emphasis on carved wood, stone, and the latest contemporary touches. Each of the 16 suites’ décor is different from the next so as to emphasize the history, culture, and various regions of Ecuador. The hotel is located in one of the best areas of Quito — the trendy and vibrant district of La Mariscal — close to the city’s many interesting cultural attractions and restaurants. It offers free Wi-Fi, bodywork treatments at its modest spa, a lounge bar, and a very good restaurant offering both Ecuadorean and international dishes. 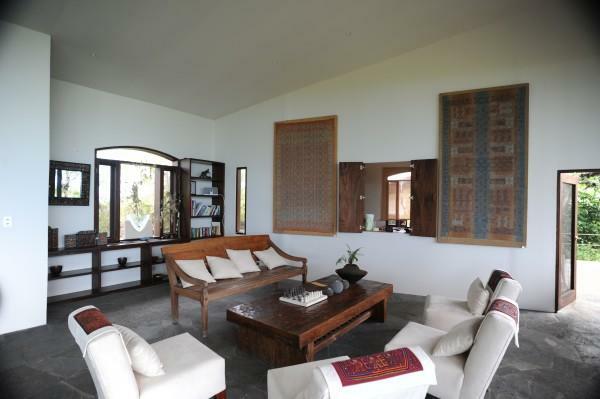 Tasteful artwork painted on canvas or directly on the walls appears throughout the interiors. Each room comes with a 32-inch plasma cable TV and a well-stocked minibar.